August 2015 event had Amaura, Tyrunt, Shieldon, and Axew. Halloween 2015 (Phantump, Drifloon, Litwick, Pumpkaboo), Winter 2015 (Cubchoo, Snover, Vanillite), Valentine's day 2016 (Alomomola, Munna), and Easter 2016 (Buneary, Bunnelby) had event Pokemon that were repeated in the future annual events, though I cannot remember exactly which Pokemon for each event. Updated. I also edited and added some pokes you missed from those events. Thanks! (I think Axew was also in Summer 2015 event). If you are sure about that, I will add but I did not see PP mentioned about in that event. Axew was the surprise gift at the end of the Summer 2015 event for helping to get the other 3 fossil Pokemon, hence why people were able to breed Axew so long ago. Game staff mentioned it here: viewtopic.php?f=16&t=4639&p=23454&hilit=axew#p23454. Deino was found during a brief event by sharks in April 2015: http://blog.pokemonlegends.com/a-few-up ... -an-event/. I would love to hear about that event and the limited pokes were available at that time. Basically there's a tile on a random map that teleports you to Magikarp Island where you can catch specific Pokemon (the one I remember is Deino). This tile is only available at a certain time of the day for a certain amount of time. I think the time was announced on the chat or something, since it was a random time point when the tile would be available. It was easier to find the tile back then since there were only maps up to Route 4. Now I remember what acchan told me long ago. Each player could catch up to 10 . I wonder if appeared in that event because I saw many breeders can breed them. No, those Pokemon were not released in any events. 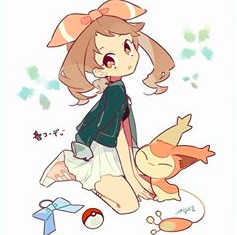 A few player bought those Pokemon when they were available on the Token shop and others bought from those breeder during a time when breeding did not require originally owned Pokemon, so there are more breeders for more popular Pokemon like those.